Combining leading theories of psychology and behavior with case studies, personality quizzes, and practical advice, National Geographic's Mind explores the question we all enjoy asking: Who am I? A companion to National Geographic's Body and Brain, this reference explores today's theories of personality, mixing scientific theory with an underlying message: by knowing more about your own psychology, you can have a better life. Chapters start with the anatomy, evolution, and development of the human brain, then move into such areas as intuition, creativity, motivation, faith, and ethics-all facets of a unique personality. Interesting scenarios of mental health and mental deviance make for a lively, readable narrative that combines today's leading theories in the science of the mind and personality with life-enhancing questions, quizzes, practices, and tools for self-discovery. 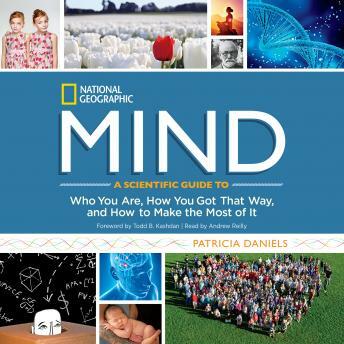 An entertaining book about science, Mind connects with the listener in a very personal and ultimately helpful way.